ROSE NEAL (CO-DIRECTOR, INTERMEDIATE CLASS) — Rose has worked with children most of her life. After 18 years of working as a registered nurse, she changed careers to follow her dream of bringing spiritual principles into education and family life. In addition to nursing, she has a background in teaching both children and adults in community settings as well as running businesses related to health and healing. She has been with Living Wisdom School since 2007. Rose had the opportunity to work closely with Usha Dermond, the founder of LWS, for several years. This was the springboard to co-directing and teaching at the school today. MICHELLE MALL (CO-DIRECTOR) — Michelle started at LWS in 2012 after moving here from Western Pennsylvania. Her interest in understanding other cultures ways of living and thinking enticed her to obtain a degree in Anthropology. She has worked at non-profit organizations helping indigenous peoples around the world and has lived in Japan for three years teaching English to junior high school students. Michelle also has a deep desire to serve those who have mental and physical challenges and has worked at agencies serving those with special needs. She has worked in the LWS office full-time for the last several years and currently serves as co-director with Rose. KAREN BHARATI BUSCH (EFL TEACHER TRAINER/MENTOR, BOOKKEEPER) — The first teacher at Portland LWS, Bharati came with experience in regular and special education, preschool through high school, in rural and urban settings. She holds a Masters in Education from Western Oregon University. At LWS, she taught K-3rd for fifteen years. Now, she serves as bookkeeper, as well as providing one-on-one instruction with selected students. She is also a leading instructor with Education for Life teacher training. TRINA GARDNER (PRESCHOOL) — Trina has been teaching preschool for Living Wisdom since 2004. She and her husband, Dan, have three children who have attended the Living Wisdom School; the entire family has been closely involved with all the classes and activities. In addition to her Education for Life training, Trina has experience teaching pre-K through high-school age children since 1990. Her strong interest in Reggio flavors her Education for Life classroom. TANJA SUHM (PRESCHOOL) —Tanja is originally from Switzerland and moved to Oregon in 2006. She earned a business degree and continued to study various subjects during her world travel years. A passion for energy work, mind matters & raising awareness brought her to Living Wisdom. Her two girls have attended since pre-school and enjoy their friendships with other students and teachers alike. The gentle, loving, well-rounded curriculum coupled with a deep understanding of students’ motivational source to foster innate passions intrigued her to take up Education for Life Teachers training. HELEN GORMAN (KINDERGARTEN) — Helen was instrumental in the founding of the Living Wisdom School in 1997. She has been teaching kindergarten since 1998, and her two children attended LWS until their graduation. Helen is enthusiastic about teaching and continues to find new inspiration in each group of students. She is a graduate of Merkura in Wil, Switzerland. Helen’s Swiss heritage is an asset for everyone at the school. She is tri-lingual and loves to share her international experience with her students, introducing them to French and German through music and games. MELISSA HEART (PRIMARY CLASS) — Melissa holds a BFA from the University of Oregon. She has been teaching with Living Wisdom School since 2008. 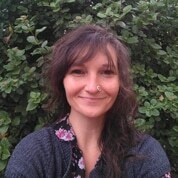 In addition to Education for Life training, she has years of experience teaching in Head Start preschools and is a certified Ananda Yoga Teacher. Melissa’s calm presence and love of children radiates in her teaching and her enthusiasm for adventurous art projects is now well known at LWS. MATTHEW FREDRICKSON (UPPER ELEMENTARY) — Matthew has worked with children of all ages for twenty years and has been teaching at Living Wisdom School since 2011. A Utah native, Matthew studied English literature and history at Weber State University in Ogden, Utah. He has also completed the Center for Effective Learning’s Highly Effective Teaching course. As a pioneer student of Ananda College of Living Wisdom-from which he received a BA-Matthew specialized in educational philosophy and writing. Matthew traveled extensively during his college studies and teacher training, sharing many adventures with his students and classmates in destinations throughout North America and around the world including Mexico, Peru, England, and India-to name a few. Matthew especially enjoys sharing his passion for history, literature, music, and creative writing with his students.